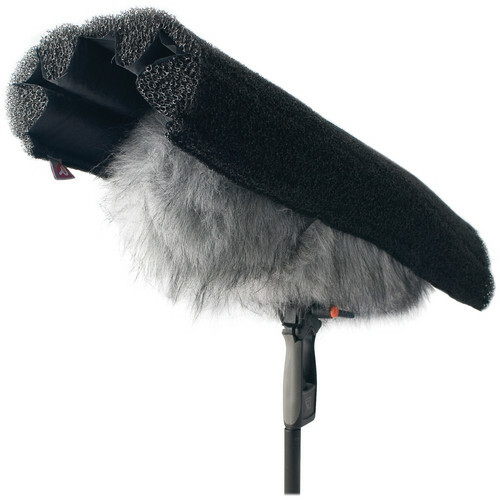 The Rycote Duck-WS3 Duck Rain Cover is an open cell foam accessory with a weatherproof backing for protecting the Rycote Windshield Kit 3 from rain and associated noise. The Duck-WS3 simply mounts over the windshield kit and wind muff, creating a waterproof barrier without effecting the microphone's performance. The Duck Rain Cover is an indispensable accessory for location shooting in video, film, ENG, EFP, sporting events and more. Box Dimensions (LxWxH) 21.3 x 9.1 x 3.3"